As mentioned previously, the Leopard 2 has a ton of available upgrade options. So let’s go to our local KMW Dealership and select our optional extras. Since I’m sticking with various catalog options, I’ll list the model or project where you can find the option. We’ll start with the turret, since there are a few different configurations available. There are basically no old stocks of Leopard 2A4s that people are looking to part with, so we’ll have to go with new-build units. We’ll also select the gunner’s sight mounting above the horizontal axis of the main gun, as on the Leopard 2A5 and subsequent models. We’ll also opt for the lengthened turret bustle, as seen on the Strv. 122 and some other exported models. We’ll also opt for the electric turret drive for both traverse and gun elevation, again, as pioneered on the Leopard 2A5. One of the key things that got the Leopard through our gauntlet of armchair1 testing is the gun. We’ll opt for the Rheinmetal 120mm L55A12 smoothbore, the finest gun in the west. Now, let’s talk armor. As always, we’re using the best and latest composites. Our inserts will be those of the German Leopard 2A7. We’re going to opt for the standard 2A5+ wedge applique on the turret front. We’re also going to take the roof protection kit that the Swedes got on the Strv. 122. We’re also opting for a glacis applique package, again with those modern composites. We’ll add the armored housing for the commander’s sight that’s popular on some of the later export models, including the Strv. 122. And of course, we’re going to opt for spall liners. We’re not done. There are a bunch of other supplemental packages that we can add or remove as needed. There’s a mine protection kit that was first seen on the Leopard 2A6M. There’s no good reason not to get the belly plate these days. And then there’s the flank protection. The skirts come in two sizes, with the older ones being about 150mm thick and the newer ones about 325mm thick. We’re going to take the newer, thicker ones. We’ll also take advantage of the mounting points on the sides of the turret in the newer Leopard 2 models to mount some nice AMAP modules for side protection. Our armor changes listed above will necessitate some other, minor structural changes. The roof protection setup means we’ll need to redesign the hatches on the turret roof. The new ones are slide-opening. Again, this can be seen on the Strv. 122 or the Leopard 2HEL. We’ll also opt to add the roof storage boxes for the crew’s carbines that the Danes opted for on the Leopard 2A5DAK. Internally, we’re going with shock mounts and a protective kevlar cover for our ammo rack. This will protect against splinters and provide some measure of blast dampening, but will reduce reserve ammo capacity from 27 to 21 rounds. On to the sensors! For the commander, we’ll select the PERI R17A3 sight, which comes with the Attica GL 3rd Generation FLIR system and an eye-safe laser rangefinder. This is a pretty standard addition on the Leopard 2A7 and related models. We will also put the Attica GL into the gunner’s sight, replacing the older WBG-X FLIR. We’ll also take the opportunity to upgrade to an eye-safe laser rangefinder for the gunner. Further, like the Leopard 2HEL, we’ll add a crosswind sensor for improved targeting system efficacy. We are not done. There are many more internal systems to pick. We’re going to go back to the Bundeswehr’s A7 and A7V for some of the other systems in the turret, specifically the ultracapcitors and the integrated air conditioner/NBC system. These are in the right rear portion of the turret bustle, replacing the turret hydraulics on older model Leopard 2s. We’re also going to use the upgraded Steyr M12 APU, capable of generating 20 kW. We’re going to round out the electronic systems suite with a battle management system and the SOTAS-IP Communication system. Because RWS are the hot, not-so-new thing, we’re going to fit one, namely an FLW 200 RWS with an M2HB heavy machine gun. This will replace the loader’s machine gun mounted on the roof. We’re also going to select a few extras to provide more protection. These are Saab’s Barracuda multispectral camouflage system and Rheinmetall’s ADS Gen 3 active protection system. Barracuda makes the tank harder to spot visually, and reduces the thermal signature. And ADS is a fast-reacting, relatively3 safe for nearby infantry active protection system to intercept those pesky rockets. And there you have a Leopard 2A7 BOR model. It’s pretty great. I’m also going to talk briefly on support variants, since the Leopard 2 has several. We’ll want an armored recovery vehicle and an armored bridgelayer. For bridging, we’ll go with the Panzerschnellbrücke Leguan, and for armored recovery, we’ll go with the Wisent 2. 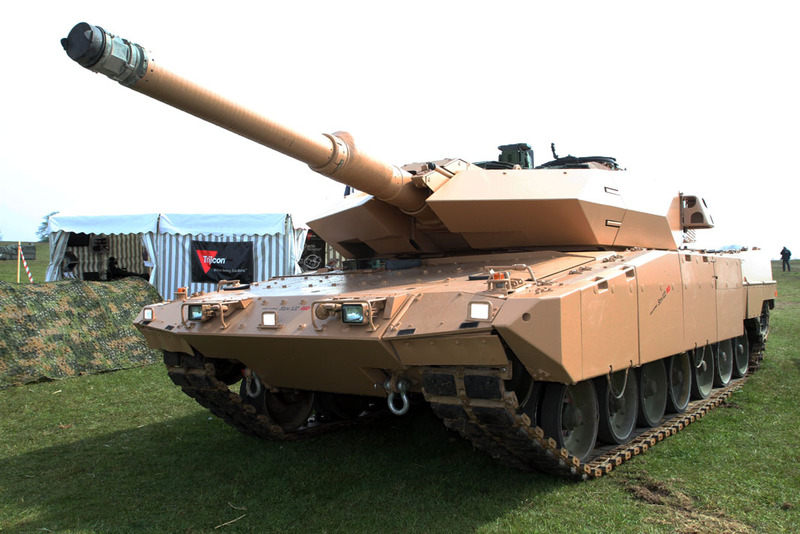 The Wisent 2 also comes in an armored engineer vehicle version, and we’ll buy those as well. This entry was posted in All and tagged armor, Borgundy, militariana, procurement on August 16, 2018 by parvusimperator. Any idea on whether you’d like reactive armor or slat for your leopards? I’ve heard that the 2A6 has those as options, although you don’t see that many pictures of leopards covered in ERA. The AMAP stuff I mentioned in the post is reactive (technically, NERA), and I generally prefer that. Slat I guess for the rear, but I don’t think that’s necessary for anything that isn’t urban ops.